Please help support Loyola Academy Rowing in our 4th Annual Ergathon fundraiser, our biggest fundraiser of the year. On March 30, 2019, teams of Loyola Academy rowers will compete against each other on rowing machines (known as "Ergs") to raise money for the club. Your donation will be used for new equipment and repairs (racing boats, oars, boat trailers, etc.). Donations will also be used to award scholarships so that every Loyola Academy student has the opportunity to row. 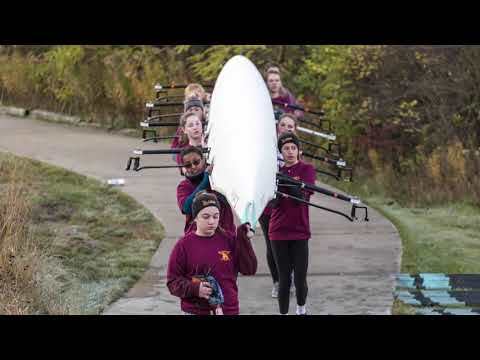 The Loyola Academy Rowing Association has been fostering the growth of student-athletes for more than 30 years. Although we have won three National Championships and many Midwest Scholastic medals, our true goal is to help create "Women and Men for Others" in the Jesuit tradition. The LA Crew Team is a completely student-supported organization. We receive no outside funding. We could use your help! Every dime, every dollar only helps the team achieve more. Rowing, the oldest intercollegiate sport in America, is also one of the most expensive.